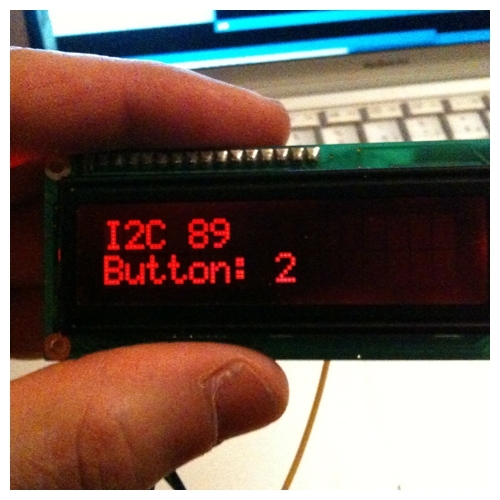 This is the newest kit version of our basic I2C LCD interfaces. This version is smaller than ever and includes software controllable LCD back-lighting. It also includes a high quality contrast trimmer pot, no fussing with microscopic screw drivers and trimmer pots that turn 360° even when they aren't designed to. 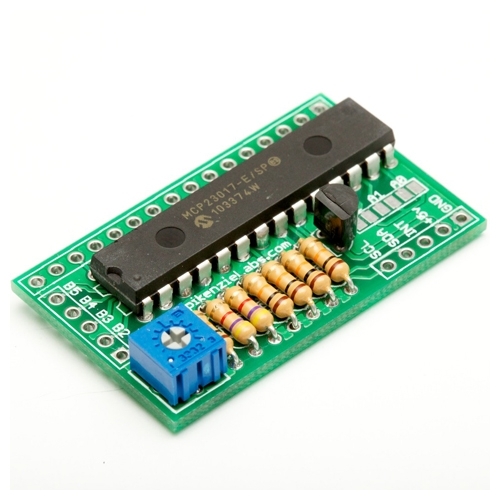 Similar to our older I2C LCD interfaces there are pin outs for up to five push buttons. Note: on the standard configuration only four buttons are available since the circuitry of button 5 is used to control the back-lighting. See the instructions page for how to use button number "5" or back-light control. Version 3 also includes the on board required pull-up resistors for I2C. Now the I2C LCD back-pack is even easier to use, you can connect the back-pack with just two wires directly to your Arduino without the need for a breadboard with pull-up resistors. 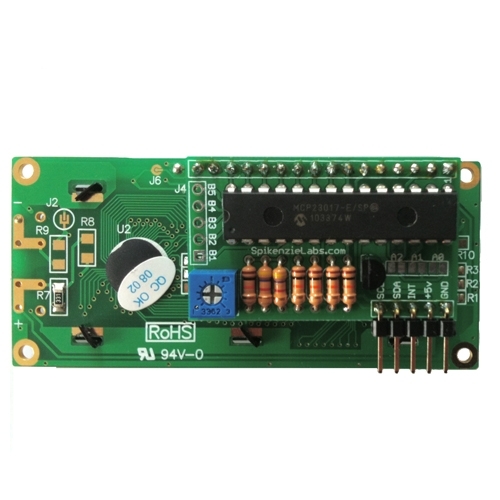 Click here for more I2C Interface info. Click here for more general LCD basic usage info. Since this is a kit, assembly is required. 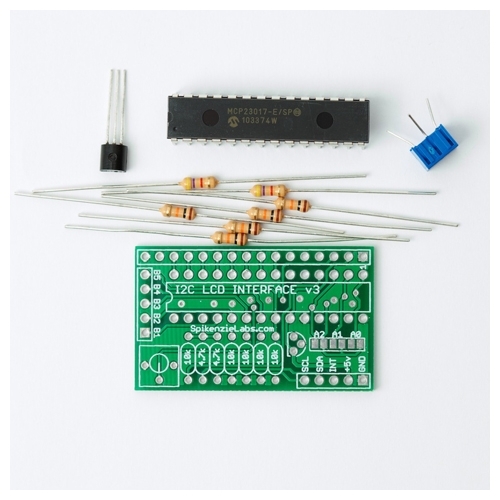 The kit contains all of the main parts to build your I2C LCD interface. You supply the simple tools and supplies listed below. Male or Female Pin headers as needed.